Happy Valentines Day! Mine started out with the scale moving in the right direction! 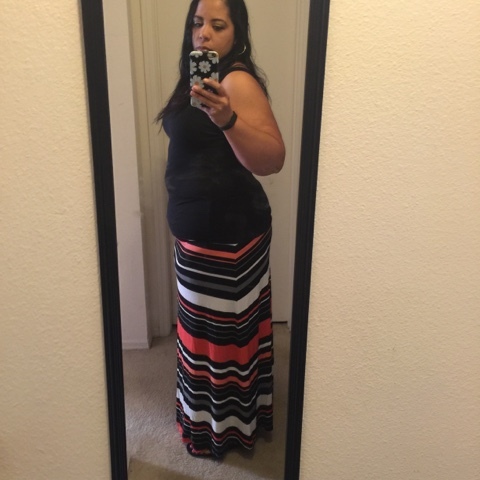 22 lbs down and definitely seeing some inches lost. SOMEONE (ahem...me) forgot to get coffee so this morning Clyde and I decided to take the kiddos out to breakfast. I chose Cracker Barrel and was able to just get eggs and bacon. The carbage (biscuits, gravy, grits, and pancakes) looked SO yummy but I didn't waiver. 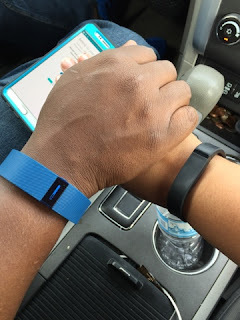 Clyde and I took the kiddos home and went out to get my gift for him... A Fitbit! He walks so much at work I thought it would be fun to both have one and keep each other accountable! After we shopped it was time for dinner. I googled popular MEXICAN restaurants in the area and came up with one I had heard of before. Fajitas are a good go-to menu item for me when low-carb or Keto and eating out. So we get there and look at the menu and no fajitas!!! The waitress explained this was a Dominican/Puerto Rican restaurant. Well, Clyde was starving so I let him order while I tried to find SOMETHING on the menu that wasn't loaded with rice or plantains or bread! I ended up with nothing. I asked if I could just get a piece of chicken or SOMETHING. No. Honestly the waitress was young and sort of snarky. So I just waited for Clyde to eat and we left. I wasn't really hungry thank goodness. So I get home and decide I'm going to make my own Keto friendly pizza! It looks yummy, but no. So disappointing. 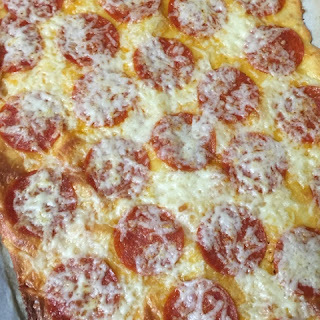 I made the fathead pizza crust everyone raves about and... Just. No. It tasted like hard cheese with pizza toppings. 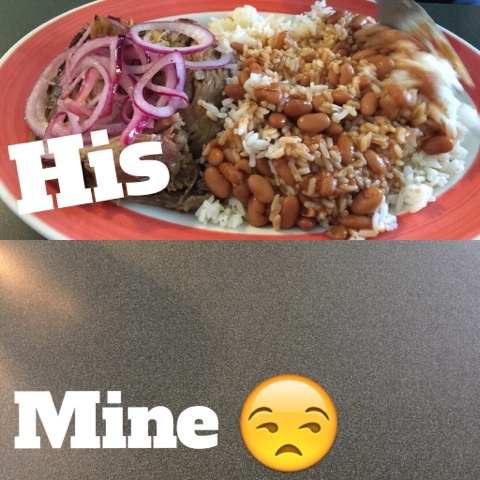 I couldn't even finish my serving. I HATE wasting food, but I hate wasting an opportunity for a good meal! I felt so cheated. So I also made a low carb sugar free cheesecake dessert that kit the spot. But it didn't take away the regret of making that pizza! 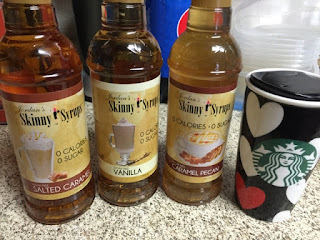 My favorite part of the day was getting restocked on my Skinny Syrups. 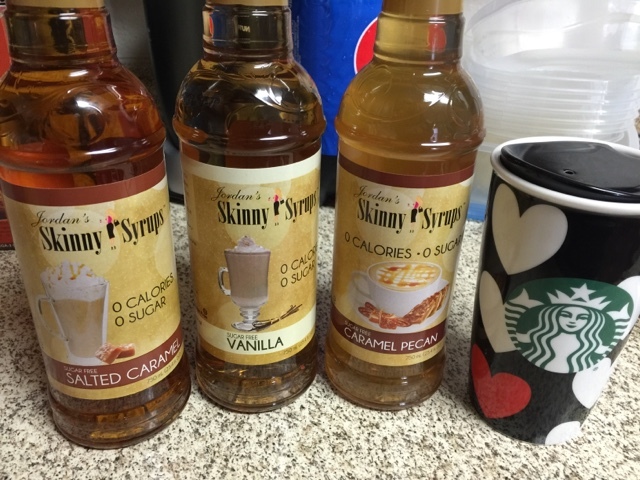 This is the ONLY sugar free syrup I love (even more than Starbucks). I am only using 1 tbsp in my BPC daily, but it's worth it! Also check out the Starbucks mug that Clyde got me. I also got flowers and earrings and a sweet card. I felt very spoiled! I am happy for a day off tomorrow. I need to get back to the gym. I've taken 3 days off because my back has been killing me, AND I am trying to come down with q cold. Just generally not feeling well. But I miss my workouts so I am just doing it anyway! Wow! Are you very tall? 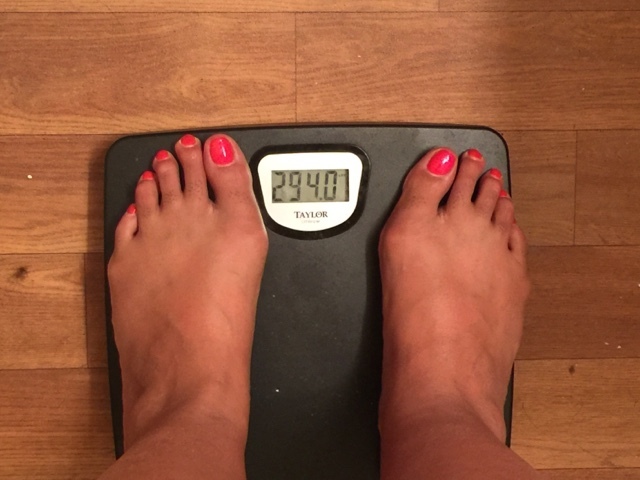 Because for 294 you don't look anything like it! 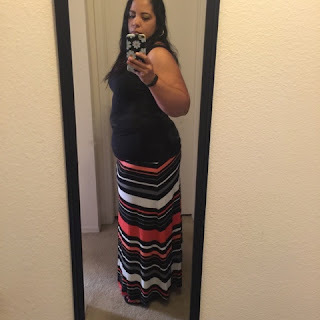 At 294 I was a big round ball of fat! LOL! Where can I get those syrups?!? Holy cow they look devine! And kudos for navigating the meals out without breaking the 'food bank'!